The success of any digital signage network rests solely on how effective it is at attracting an audience and communicating its message. Content that is on message, well presented and part of an overall brand experience will both deliver viewers and help ensure that information is successfully communicated. 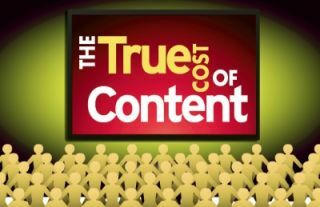 The problem is that engaging, effective content is expensive to create, manage and distribute. Without adequate planning early in the network’s development, these costs can easily spiral out of control, leading to the network’s failure. By making content planning a priority, network operators can realize cost savings while providing their audiences and advertisers with a superior network experience. Successful network planning demands that network operators become familiar with key “soft” skills, such as design, branding and message retention, and with things like research, audience demographics and viewing habits. This may be difficult for some operators who are focused more on the technical aspects of running a network; however, these skills are vital in order to identify which content works and which does not. An effective strategy for beginning this process is to step back and look at the overall content flow, instead of focusing on the individual content elements. When employing this strategy, there are three main considerations to take into account. The first is to identify the network’s purpose. Though that may sound simplistic, it is important for all stakeholders to be on the same page. For example, the purpose of an ad-based network is to ultimately deliver advertising content to as large an audience as possible. To realize this, the network operator would make editorial content choices designed to complement the venue and the advertising. A network in a health club, for example, may display jogging-related content and feature athletic footwear ads. To bring audiences the appropriate ad content, network operators must continuously ask themselves if the editorial content is working. The second consideration is to understand the audience demographic. This can best be accomplished by using a third-party research firm that is experienced and respected by the advertising community. Knowing the audience allows operators to make the most effective editorial decisions, approximate run times, determine refresh rates and engage advertisers. Third, the look and feel of the network must be consistently presented. This applies to everything from picture quality to sound levels and branding. Branding communicates to viewers that they are watching a unique channel with a unique purpose. To achieve this, on-screen elements must consistently conform to a brand bible, which dictates precisely how logos, tag lines, images and color schemes can be used. When selecting content for a network, network operators should keep in mind that screens don’t only need to be populated with initial content; content needs to be continually refreshed. Operators need to fully understand the workflows to accomplish this, and the resources that will be required. Video content can be the most difficult to manage. While it certainly provides the greatest impact with audiences, the video production process can be time-consuming and expensive. One valuable way of tackling this is through the use of production templates. The entire video production process can be sped up with a template-based approach, where certain aspects of a video clip may never change—such as opening and closing graphics, layout and color schemes—but editorial content does change. Changes or updates are only made to certain portions of the clip, creating brand new content. Multiple templates can be created to keep the look fresh. Likewise, for networks where ad content needs to be created on an ongoing basis, ad templates can be repurposed quickly and effectively to focus content for specific marketing objectives, such as targeting a particular venue, reaching important demographic groups or promoting a special offer. As an alternative to video content, text and images can be easily updated in real time by using readily available RSS feeds and databases. By combining text and imagery, network operators can create a variety of timely content that is attractive and relatively inexpensive. However, while there is a common belief that any data feed found on the Internet can be used freely in a digital signage application, this is most often not the case. Before this type of content is redistributed, it is vitally important that the signage operator looks into the particular licensing issues involved. Using content without the required permissions can lead to problems, including copyright infringement. What may appear free might actually lead to a host of expenses down the road. Illegitimate data feeds are also subject to change without warning, suddenly leaving the network without content or content that appears jumbled and illegible. To avoid these problems, operators can obtain content through a digital signage provider that has developed relationships with content sources, as well as advice on how to best approach a specific type of content. Making content available on a variety of screen types and devices will allow network operators to reach more viewers, customize messaging and amortize content-related costs. By repurposing existing content for tablets and smartphones, network operators get a bigger bang for their content buck while reaching audiences that may have never been exposed to a place-based sign. For example, sales personnel on the road can receive updates on sales figures, important product announcements and other vital information right on their tablet. Telecommuters can stay in the loop with the latest compete strategies and corporate objectives. Network management tools need to allow network administrators to create new channels of content quickly and easily and, in turn, distribute those channels anywhere. Fully leveraging in-house content is an important cost savings strategy. By taking advantage of data directly from internal databases or sources such as SharePoint or even Excel documents, operators can present vital information to key stakeholders through an entire organization. This content could include such things as sales statistics, key targets, productivity stats or inventory levels. Distributing content to many different screens not only saves costs, but targeting the right content to the right devices can dramatically increase the effectiveness of the network. There are several costs involved in creating content and keeping screens populated—from third-party research firms to content production costs and licensing fees for RSS feeds. However, if budgets are a concern, many opportunities exist to save money by focusing on internal content and repurposing existing assets. In either case, by thinking of themselves as content programmers and examining the overall content flow, network operators are well positioned to engage viewers and avoid the ultimate cost: an ineffective network. Vern Freedlander is vice president of production services for Montréal-based X2O Media, a full-service provider of technology, network management and content services for professional digital signage applications. With more than 20 years of broadcast television experience as a producer, director, and executive, Freedlander oversees all of X2O Media’s content initiatives. He can be reached at vern@x2omedia.com.